I had ordered for prawn curry rice - which was bang on taste and quantity-wise was enough for two people. The squid masala - somehow didn't like it much, found the quantity too less for the price we had to pay for it. 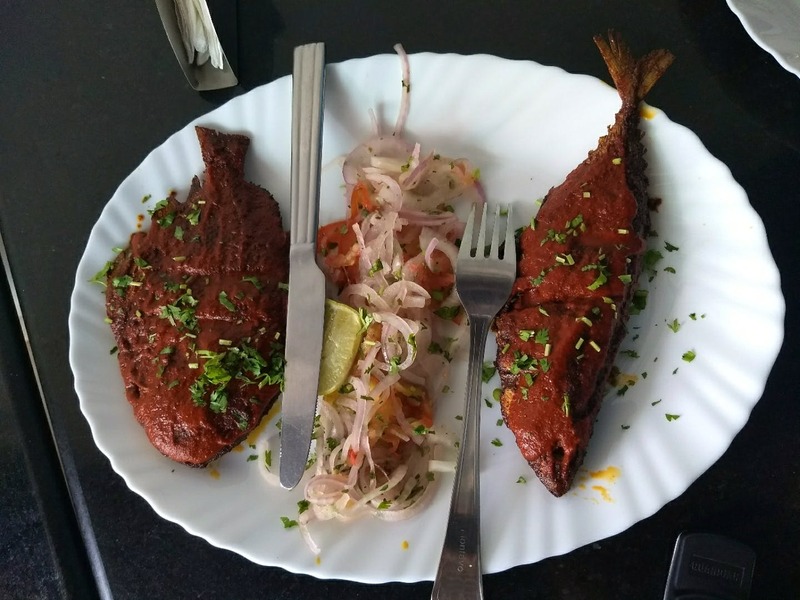 And finally, the Pomfret and Bangda fry - these fishes were fresh and didn't have any weird after taste as they were fried to perfection. Cafe Goa has an open kitchen so you can watch your food being prepared, only if this place was a bit bigger. Squids simply spoiled my food experience, again this will be my personal choice as others who were with me said it wasn't that bad. The place is quite small and tends to be always crowded. Plus, this spot doesn't serve you a beer or any pork delicacies.